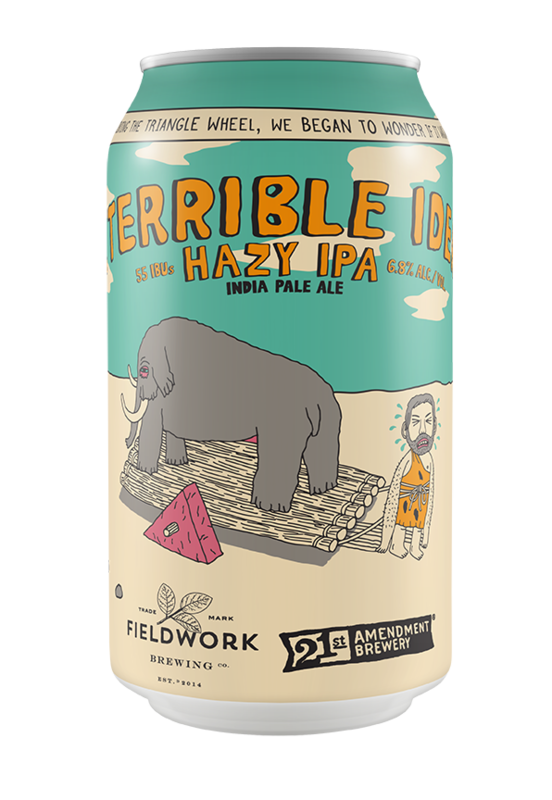 In collaboration with our local Bay Area friends at Fieldwork Brewing (who know a “little” about hops in beers) we bring you A Terrible Idea, a hop-forward, Hazy IPA in a can. Discover malt clouds supporting silky yeast with a creamy mouthfeel, then brace yourself for a MAMMOTH dry hop charge — 4 pounds of hops per barrel to be exact — which is twice our typical rate. Was inventing a triangle wheel a terrible idea? Ok yes, maybe so. Was making this beer? Absolutely not. We stand behind the claim that the strong hop flavors and aromas, coupled with juicy notes of peach, orange, mango and pineapple will spark your taste buds back from extinction.